So without further ado, let’s get into it. Release date: Officially, Late 2012. Presumably if/when this game gets greenlit it will be ready to go. At a glance, BattleBall looks like a combination of Pong and a Japanese bullet hell shooter. BattleBall pins players against a computer or other players both on local and online multiplayer, and makes them do battle, and not just score points with the ball. Power-Ups will allow players to defend themselves, or go on the offensive and both trick and cripple their opponents, while also providing faster and more powerful projectiles to destroy whomever dares to challenge them. Despite the colourful graphics, I can’t see myself getting excited about this game. No matter how you dress it up, Pong is still Pong. A slick trailer and some good audio doesn’t change the fact that the fundamentals of this game are two paddles and a ball. Frankly, I think the trailer would have done better without even drawing the reference to Pong. Kudos though for having the courage to make the comparison before somebody else did so in an unflattering manner. Verdict: Even on a Steam sale, I can’t see myself dropping cash for this game. Click here to see BattleBall’s Greenlight page. From its cell shaded screen shots, Purge immediately evoked thoughts of Borderlands. On the other hand, the game’s description makes it sound like Mirror’s Edge. Purge is a platforms game with a first person camera, where you’ll have to use stealth and parkour to avoid the enemies and escape. Use the abilities at your disposal like wallrun, pipe climbing, ledge grabbing and more to reach the only route to run away from the agonizing city of Dul’Halasa. Will you surive the purge? There’s a thing I often tell my undergrads; no matter how smart you may be, spelling and grammar mistakes make you look stupid. And when a game’s pitch is limited to fifty-seven words there’s no excuse for multiple spelling mistakes and a comma splice. Even if I set aside the poop shaded colour palette, the graphics engine which seems to predate Mirror’s Edge by a few years, and the awful music in the trailer, this game puts me off. However, none of those issues seem quite as offensive as the promotional copy saying there is only one way out of Dul’Halasa. The whole point of Parkour and the philosophy of free running is to be creative and innovative in moving from point A to point B. That there would only be one way out of the city seems painfully linear, oddly counter-intuitive, and particularly boring. Verdict: Purge may get other people’s votes but it won’t get mine. Click here to see Purge’s Greenlight page. Release Date: 2013 – month/quarter unspecified. Finally, we turn to Worlds, a third person action game. Worlds is an action / adventure / stealth game, which will plunge you in many strange worlds. The game offers a lot of freedom, and you’ll find out that there’s often more than one way to finish your mission. I can’t quite tell if the game is whimsically primitive in its visual design or just a little unpolished. Either way, I’m intrigued with the trailer. It seems to fall somewhere between Black and White and Metal Gear Solid, perhaps with a bit of Hitman in the mix for good measure. Though still in development, Worlds promises eight distinct realms to explore in its finished form. Further, the developers state there will be overlapping consequences from world to world. However, even in big budget games like BioShock or Mass Effect 3 consequences can often end up as red herrings. All too often games and their designers mistake the illusion of choice with actual variety in the outcomes. Hopefully, Worlds manages to see the distinction between the two. Verdict: Thumbs up. If Worlds appeared in the Steam store I think I would roll the dice on it. 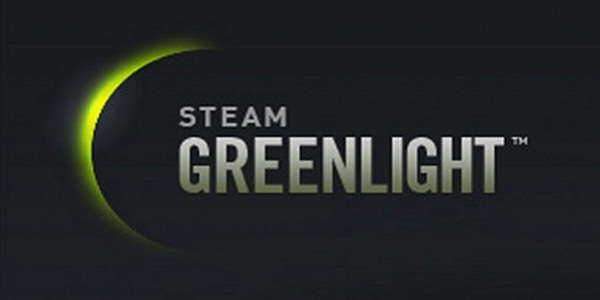 Click here to see Worlds’ Greenlight page. So ends another edition of Adam versus Steam Greenlight. One out of three isn’t great, but it’s better than a shutout. And if there’s a single take away from this post it’s that developers need to hire a copy editor when putting together their Steam pitches. I might be willing to look past typos, the internet is full of trolls who will downvote a game on the thinnest pretext. Hey Adam, got anything to say about Mirror’s Edge 2? To me Mirror’s Edge, the original, was very innovative. I love the free running style. Mirror’s Edge 2 was announced at E3 and looks great but not much is known due to it’s in development. I would say that initially it’s going to be worth a purchase. Thanks for the info on Purge. Cheers!